The Global Innovation Fund is a non-profit, social-first investment fund. It is a joint initiative of the Australian Department of Foreign Affairs and Trade, the UK's Department for International Development, USAID, the Swedish International Development Cooperation Agency and the Omidyar Network (the founders of eBay). To date, the Global Innovation Fund has invested in 34 innovations, including MClinica, a social enterprise building digital networks of pharmacies all over Asia. Here, Farouk Meralli, Founder and CEO of MClinica, provides some insight into their progress to-date. We started mClinica with a simple goal: fix the pharmacy. In emerging markets like Southeast Asia, pharmacies are usually mom-and-pop-style operations that run on pen and paper—meaning almost no one, from drug firms to governments, really knows what’s going on between pharmacists and their customers. By connecting the region’s pharmacists and enabling them to share information, we knew we could improve the care they provide and gain insights that could drive better health programs and policies. Just 500 days after completing Series A funding in 2017, we’ve built the region’s largest network of pharmacy professionals through our SwipeRx platform. We’ve gone from reaching just 1,500 pharmacy professionals in the Philippines and Indonesia to more than 100,000 in six countries. One in two pharmacists in the Philippines uses SwipeRx, one in three in Indonesia and one in four in Vietnam, where we launched just five months ago. Through the pharmacists on our network, we reach 150 million patients every month. And we’ve already begun collecting data that promises to provide better solutions to treating tuberculosis, diabetes and many other diseases. How did we scale a public health platform so quickly? Here are some strategies that have been key to our success. Pharmacists are frequently neglected in health policy discussions because they’re often viewed as medicine dispensers rather than care providers. Especially in poor and rural areas, however, they provide patients’ first point of contact with modern medical advice and treatment. The lack of attention to pharmacists was hurting patients, pharmacy workers and public health. By focusing on pharmacies, mClinica was able to quickly gain credibility in a market with major unmet needs. We launched Connect, which enables pharmaceutical companies to deliver targeted discounts and health information to patients to drive adherence and health outcomes. We then launched SnapRx, a digital prescription monitoring tool that governments can use to gather never-before-available data sets. At the grass-roots level, patients were also benefitting from our work. By registering with their mobile phone numbers when they visit the pharmacy, patients receive reminders about when to refill their prescriptions and get access to discounts of up to 38 per cent on critical drugs. For some customers, the discounts mean they can stop rationing their medicines and start taking them exactly as they’re prescribed. Jake Josol, mClinica's Director of IT, leads a SwipeRx product meeting. By late 2016, we had built products that governments and drug companies could use to get real-time information about patients and their prescriptions. In order to grow, however, we had to shift our thinking. 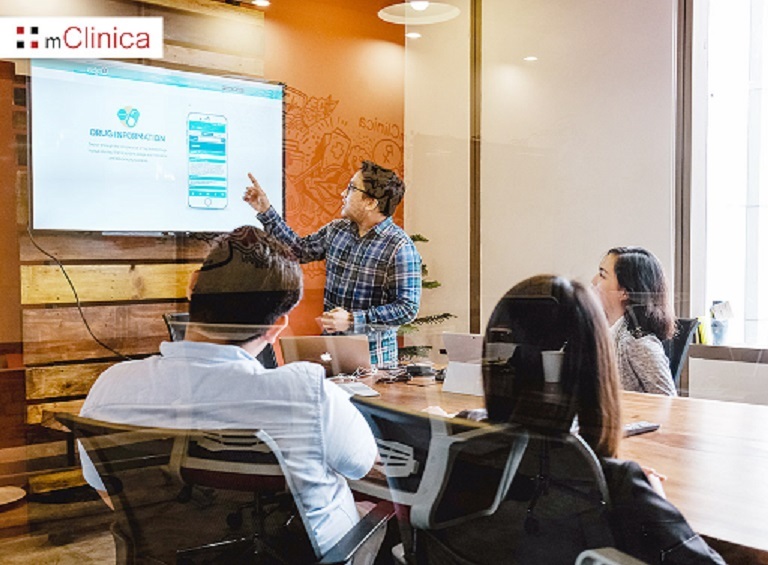 We had to stop thinking of mClinica as a product company and start thinking about it as a platform company. In our research, we’d come across plenty of digital communities for doctors, but nothing comparable for pharmacists. 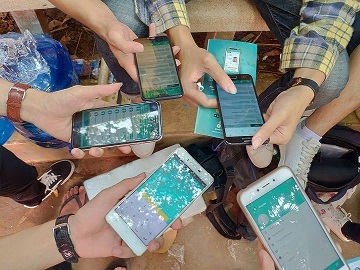 Offline, too, pharmacy professionals were disconnected from each other, scattered across vast geographical areas and with uneven access to continuing education. We realized we could build a social network to help them keep in touch. We built the SwipeRx platform in six weeks and dropped it in the app store with no advertising. Users began downloading the app, creating accounts and sharing information. A few weeks later, a pharmaceutical company contacted us and asked if they could sponsor an education module and an NGO reached out wanting to share health advisories. What had begun as a test project now had a viable business model, and we used the $6.3 million we raised in our Series A round to help it grow. Our goal of fundamentally solving a major challenge for both the private and public sector was becoming closer to reality. In less than two years, we’ve expanded SwipeRx across southeast Asia and operate in Indonesia, Philippines, Vietnam, Thailand, Malaysia and Cambodia. Our platform acts as a kind of WeChat for pharmacy professionals, and we’re always working on adding new features to meet users’ needs. When they asked for the ability to ask questions anonymously, we added it—and the number of questions posted every month shot up 20 times. Our platform is more than a social network. We are also the region’s largest provider of online, accredited pharmacy education. Since launching our education modules eight months ago, we have helped train 10,000 pharmacy professionals, reaching 40 million patients. The training makes a difference for patients and in the lives of our users, 70 per cent of whom are women. At a pharmacy conference in eastern Indonesia recently, a young pharmacist came up to me to say thank you: Before SwipeRx, she had to travel six hours by bus to attend mandatory classes to renew her license, leaving her two children at home. Now, she can take the accredited classes at home, for free, saving her money and letting her spend more time with her family. 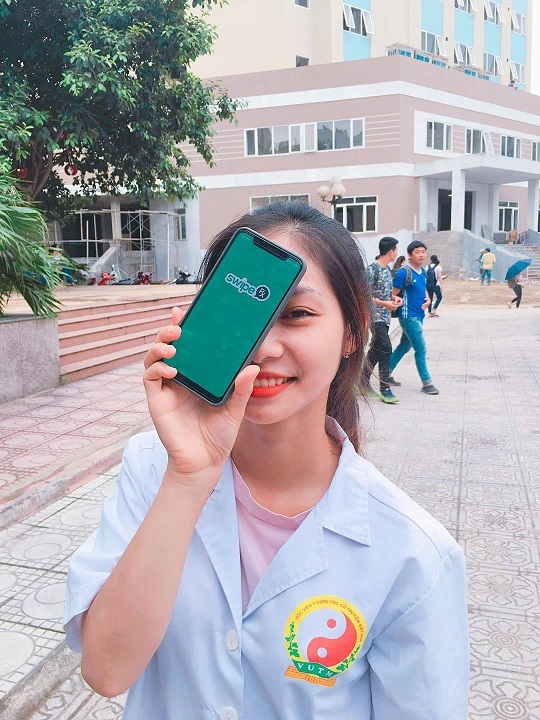 A pharmacy student models SwipeRx on her phone in Vietnam. We’ve managed not only to rapidly expand to four completely new markets, but also to replicate quick growth within each of those markets. In every country we enter, we reach 20 per cent of the market quite formulaically. We created a unit within the company to take full responsibility for growing SwipeRx. We hired digital marketers, community managers, and lots of pharmacists and pharmacy assistants. Not everyone had a background in healthcare, but everyone was motivated by the goal of building the largest network of pharmacies in the world and transforming public health in the process. From our experiences in Indonesia and the Philippines, we realized we could roll out SwipeRx in new markets with a team of two people in just 45 days. Country managers have the flexibility to learn about their market and reach users as they see fit, building relationships with pharmacy professionals, educational institutions and government agencies. Today, we can systematically recruit 20 percent of the pharmacy professionals in any country to the platform within eight months. We have developed a rapid-scale playbook that can keep powering the growth of SwipeRx across the region. Thanks to SwipeRx, pharmaceutical companies and universities are offering accredited mobile education at a national scale. The World Health Organization is disseminating messages to pharmacists spread across the region. And thousands of pharmacy professionals are exchanging professionally-vetted information and helping each other provide better care for patients. All of this unfolded over just 500 days, and we’re excited to see what comes next as we keep working to solve the needs of pharmacies and their patients. 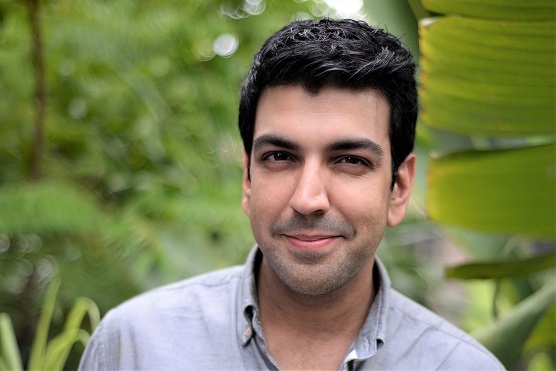 Farouk Meralli is the founder and CEO of mClinica, a Singapore-based health tech company. He was the youngest ever recipient of the Harvard T.H. Chan School of Public Health’s Public Health Innovator Award in 2017. mClinica is backed by some of the world’s best-known impact investors, including the Global Innovation Fund (whose LPs include DFAT and other development institutions), Patamar Capital, MDI Ventures, Endeavor Catalyst, Kickstart Ventures, Spiral Ventures, and 500 Startups.